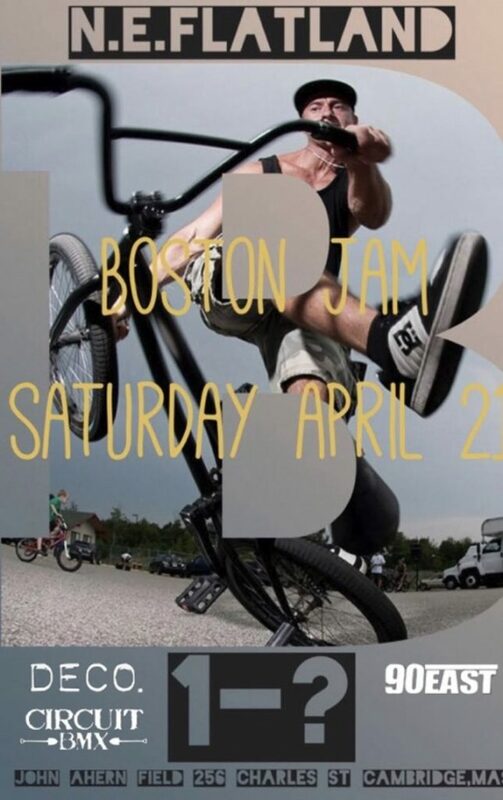 Shane Reed dropped an email to let the flatland world know about a Boston flatland jam on Saturday April 21st at John Ahern Field in Cambridge, MA. Lot of flatland history from the New England scene. Awesome to see the scene is still going strong with support from Deco, 90 east and Circuit BMX!